International Women’s Day has come and gone. Once again, there were a whole lot of talks about gender equality and women empowerment going on. I was fortunate enough to attend the Women in Technology event at the Harare Institute of Technology, and one particular talk delivered by Trust Nhokovedzo (founder of Afrodigital Skills Training) resonated with me. Generally, women are afraid to be vocal about what they do (myself included). We have not mastered the important skill of Self-Promotion. There are many reasons why this is so, from cultural factors, to societal expectations, but that’s not what I want to share with you in this article. I want to share with you what I’ve learnt about self-promotion, and how we can empower ourselves better using this skill. 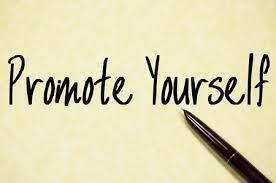 First of all, self-promotion is not bragging, it is simply letting people know what you do. Unfortunately, most of us think that we are not being humble when we talk about our work. We have been told that recognition must come from the society, not from ourselves. A very simple question to ask here would be: How will society know about us if we don’t tell them? A friend of mine asked me once, “So you’re a writer, huh?” To which I replied, “Yeeaaaahhh, not really. I just write stuff for fun.” He burst out laughing, and said, “I was going through your blog and I thought you were really good. I wanted you to write something for me and I was ready to pay you for it, but you’re not sure of yourself so I’ll pass.” Of course he was joking (about the payment that is) but that little exchange showed me how I miss out on opportunities because of my misconception of humility. What I thought was being humble, is actually just timidity. I was afraid of the opportunity that would come my way once I told people I am a writer. What if I’m not good enough? I’m really just writing for fun, I can’t possibly be good enough for any company. Such thoughts made me cower at the prospect of writing for money. But now that I’m aware of the problem, I have decided to embark on a serious rebranding campaign. I encourage you, my valued reader, to do the same. Self-promotion today mostly happens online, through social media and other online platforms (in my case, a personal blog). Unfortunately, more than 70% of my generation use social media as a personal diary. We are telling people what we had for breakfast, what label shoes we’re wearing, how perfect our eyebrows are on a particular day. That’s all fine (do your thing) but if it’s not aligning with your career in any way, or if it’s not adding value to your life, then why are you posting it? This is the reason why many people are skeptical about who follows them on social media, afraid of “stalkers” and “haters” looking at their posts and discovering things that they want to keep secret. The irony of it all is that we hardly ever post about what we do, or what we are good at. And then we complain that there are no jobs… I hate to be the bearer of bad news, but maybe your social media profile just makes it hard for the people that matter to hire you. So what can we do about it? It’s simple: TELL THE WHOLE WIDE WORLD WHAT YOU DO. Post about your work, your interests, and your career aspirations. Post without ceasing. Post it all over your Facebook page, Twitter, Instagram, LinkedIn. Wait, you are on LinkedIn right? If you’re not, then you are missing out on major career opportunities. LinkedIn is the one social site where you’re guaranteed to connect with serious professionals. If you don’t have a LinkedIn account, create one now. Okay I may have gone a little off-topic there. What was I saying again…? Oh yes, post about your work. I can almost hear some of you saying, “But that’s boring.” It can be boring, if you’re boring about it. Let your personality shine through your content. Be creative about how you present yourself online and you should be fine. Once you start doing this, and doing it consistently, you will notice that the people who follow you will become relevant to your career. How do I know this? Well, when I started telling people that I’m a writer and sharing my blog with everyone I know, I began getting offers to guest blog on other platforms. If it works for me, I’m sure it can work for you too. One last thing about self-promotion: It goes beyond borders. If you brand yourself online for what you do, chances are when someone googles your profession, you’ll pop up. Here’s a little challenge: Google your name now and see what comes up. If you owned a company and you were hiring, would you hire yourself based on your Google search results? I have shared all this information with you because I know it will benefit you. Empowerment is not only about getting financial support from an NGO, or joining a girls-only support group. It is also about taking charge of your life and your image, and becoming the person you want to be. #PressforProgress by promoting your strength and everything that’s wonderful about you, because there’s a whole lot. PS: Let’s have a little fun, shall we? In the comment section below, tell me what your profession is based on your Google search results. If nothing comes up, you can tell me that according to Google, you don’t exist. Well well Achim, looks like you’ve been doing it right. What’s your secret? Lol you got that right. Did you google your name? What came up? And just like typical men we’ve come in to hijack everything. Where are all the ladies in the comments?